Team members may help each other complete their total time. Take the highest number of points from any team. 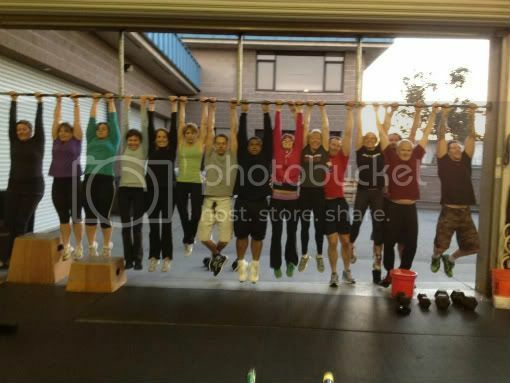 All teams must complete that many burpee-boxjumps, as a team, for time. ½ the team working at a time.